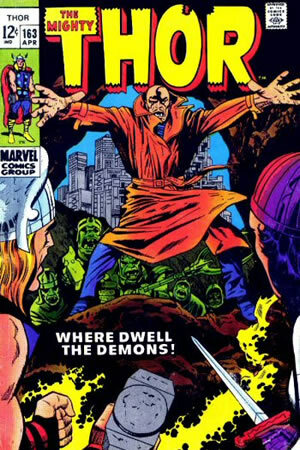 Thor #163, 1969. “Where Dwell The Demons” | Magazines and Monsters! 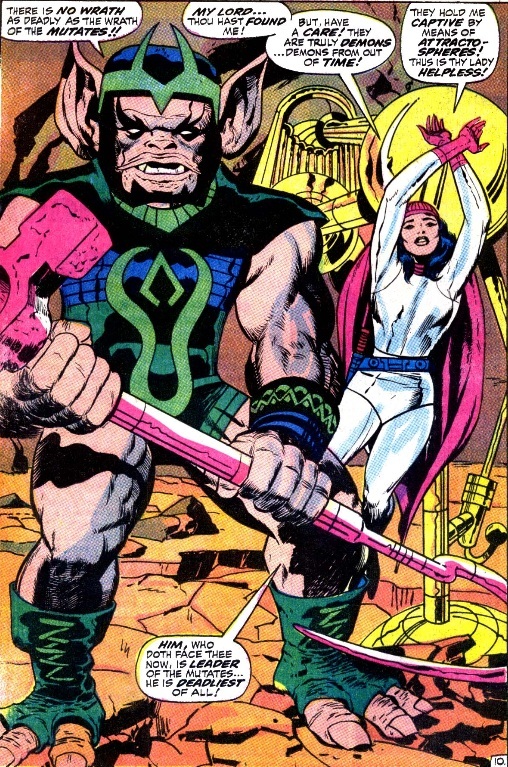 If you haven’t figured it out by now, this month will feature nothing but work from the king himself, Jack Kirby! So far we’ve seen a Fantastic Four book, and one awesome Captain America issue as well! This time around, we’ll look at The Mighty Thor! In this specific issue, we see the mad god Pluto, as he’s recruited some other-dimensional mutates, to help him take over the world. of course the mighty Thor is standing in his way, but can he stop the mad god, along with his army? Thor is dragged inside a strange energy barrier that has appeared on Earth, and he soon finds his lover, Sif, is being held captive there by Pluto and his mutates. You see, Pluto has traveled to the future, and found this planet has been decimated by war. He stops Thor and Sif, and is holding both prisoner, but then finds a cocoon, and something is stirring inside it, and it seems to be a man! This issue started a great story line that involves not only Pluto, but the fantastic Adam Warlock (Him) as well! 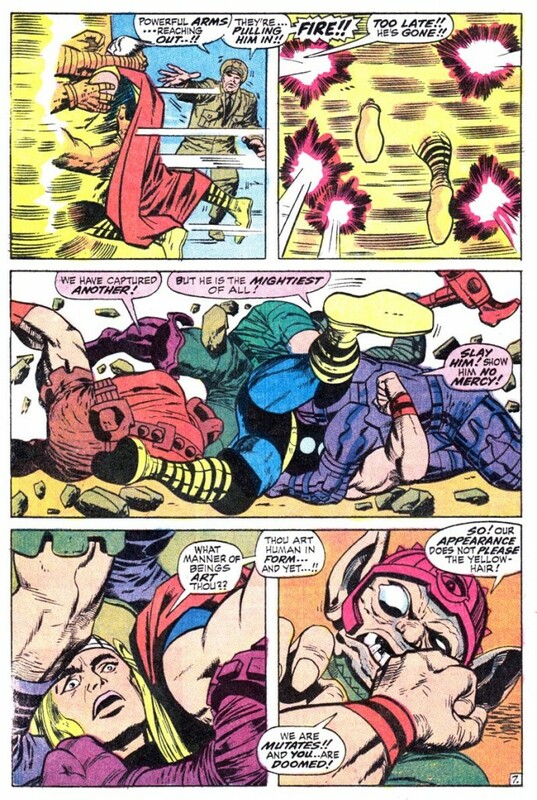 Kirby’s work is fantastic as usual, and of course, you have some fans that don’t care for Vince Colleta’s inks, but honestly, these pages look great! This happens to be the one and only comic book I won that has been CGC’d, and it will probably be the only one I ever own (I won it in a contest). I’m not a fan of putting something that’s to be read behind plastic.